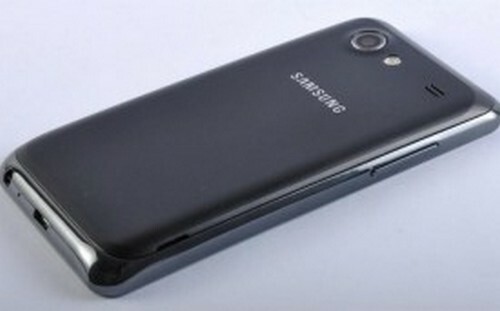 Samsung is planning to launch to launch its new smartphone handset in Philippines, named the Galaxy S Advance GT-i9070. Reportedly, the handset will be Samsung’s mid-range smartphone with a curved, 4-inch, and 800 × 480 pixel display. The device has a dual-core processor and a 5-megapixel camera with LED flash. Currently, the device is running Android 2.3.6 (codenamed: Gingerbread). Samsung hopes to reveal its new handset at forthcoming Mobile World Congress in Barcelona next month. We also hope that the device will be upgradable to Google’s latest mobile operating system Android 4.0 (codenamed: Ice Cream Sandwich or ICS). Also, there was a recent leak at the company’s website that forced us to believe that the South Korean electronics giant will also reveal another new flagship device, the Galaxy S III, in the same event. However, company has not yet disclosed any details about this mysterious handset device. The Galaxy S Advance has been officially confirmed by the company. The company said that the device will feature a storage memory up to 16GB. The device will also have a support for HSPA and features 768MB of RAM. The most unfortunate thing about this device is perhaps it is running Android 2.3 Gingerbread. Though, there are high chances of possible upgrade to Android 4.0. The device will be launched in Russia next month. Later, the global rollout will continue to Europe, China, Africa, Middle East, Southeast and Southwest Asia, and Latin America. No plans to launch Galaxy S Advance in United States. Samsung has not said anything about its price yet. If you want to have a look at the Samsung’s new smartphone, the Galaxy S Advance, you can visit hardwarezone.com.ph.